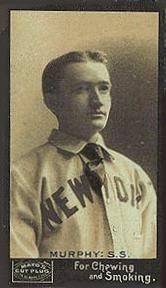 1895 Yale Murphy Mayo Cut Plug tobacco card. Raw, ungraded. Exceedingly tough to find in any grade. Exhibits light to moderate wear.